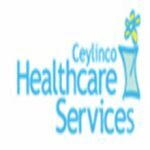 Ceylinco Healthcare Services Ltd, which is a fully owned subsidiary of Ceylinco Life specializes in treatment and detection of Cancer and Diabetes. The centre is equipped with state of the art equipment and has a well experienced and highly qualified panel of consultants. Ceylinco Healthcare Services is also the only cancer treatment centre in the country to offer Tomotherapy treatment which is considered the most advanced radiation treatment for cancer in the world today.